There are so many ways you can build a website, from raw coding to point and click ‘website in a box’ tools. We have worked with them all so why do we focus on WordPress? WordPress offers fantastic functionality for both the developer and the end user. It is designed from the ground up to allow websites to be updated, added to and evolved. Add this to the extensive developer base that is continually updating the core product and adding flexible functionality, and you have a tool that can really work for your business. If you already have a website, but like the sound of what WordPress can offer, we can convert your existing site design and functionality onto the WordPress platform. 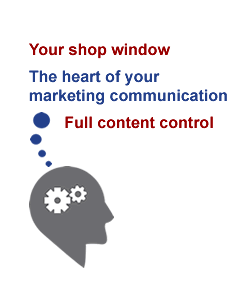 We can also, if necessary, work with you to develop the content to ensure that it effectively communicates & supports your business marketing proposition. Alternatively, if you are looking to develop a new website, we are happy to do this, using the WordPress platform. Whether you are starting from scratch, or wanting to take more control of an existing website, we can help. You can see some of the websites that we have developed for clients here. If you are focusing on Overseas Markets, then websites in your Market’s local language can be a great tool. WordPress is a great platform for a mutlilingual website.